The Right Scoop recorded Mark Levin’s rant about Obama’s full blown Marxist speech on Wednesday. As usual, Mr. Levin was spot on in his criticism of the tyrannical policies embraced by the regime of Barack Hussein Obama. This entry was posted in Communists, Liberal Zombies, Marxist Economic Babble, Obamanomics and tagged "Mark Levin", "Marxism", "Obama's Speech", "Obamunism", "The Right Scoop" on December 6, 2013 by Shayn Roby. As year six of Barack Hussein Obama residing in the White House approaches it is worth noting that the number of Americans not In the labor force has hit a new record high at 90,473,000…. When President Barack Obama took office, there were 80,507,000 Americans not in the labor force. Thus, the famed winner of the Nobel Peace Prize, who received it for being African American (What else could it be for? He sure hadn’t ACCOMPLISHED anything.) has succeeded in adding almost TEN MILLION people to the not-working demographic. This entry was posted in Obama's Welfare State, Obamanomics and tagged "Obamanomics", "Out of Work" on September 7, 2013 by Shayn Roby. Budget cuts may kill some federal jobs in the short term, but those cuts can enable businesses to thrive (if those cuts are passed on to businesses through tax cuts) in the long run. It is not a function of government to ‘create’ jobs. Jobs must evolve as they are needed in the natural process of business cycles in which true demand for a product or service actually exists. The private sector is almost always more efficient at finding innovative ways to invent and create. For any liberal who disagrees with this, all they need to do is take a look at the United States Postal Service. Enough said. This entry was posted in Liberal Zombies, Obama Zombies, Obamanomics and tagged "Budget cuts", "High unemployment", "sequester" on August 4, 2013 by Shayn Roby. Unemployment Climbs to 9.4% Among Hispanics; Double What It Was 7 Yrs Ago | CNS News. The unemployment rate among Hispanics has doubled, yet Obama the genius is promoting amnesty so that more ‘unregistered Democrats’ will cross the border. His administration has encouraged both legal and illegal immigration by advertising the Supplemental Nutritional Assistance Program in the American embassies in Mexico and at the Immigration offices at the southern border of the United States. This entry was posted in Illegal Immigration, Legal Immigration, Obama's Welfare State, Obamanomics and tagged "Hope and Change", "Just Hopin' for Some Change" on August 3, 2013 by Shayn Roby. Barack Hussein Obama spoke of Larry Summers, whom he is considering to head the Federal Reserve, “I will always be grateful that at a time of great peril for our country, a man of Larry’s brilliance, experience and judgment was willing to answer the call and lead our economic team.” Obama says this of Summers even though as Clinton’s Treasury secretary, Summers pushed for radical deregulation allowing investment bankers to take wild risks with the federally insured deposits of ordinary folks, a disastrous move compounded when he successfully urged Congress to pass legislation banning the effective regulation of the tens of trillions in derivatives that often proved to be toxic. Obama is great at picking winners. He is inclined to make this great pick that ranks right up there with………SOLYNDRA. 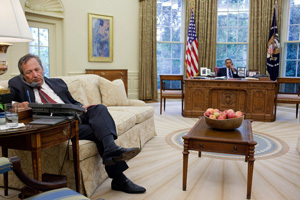 Former National Economic Council Director Larry Summers listens in on a call in the Oval Office. This entry was posted in Democrat Criminal Syndicate, Liberal Zombies, Obamanomics and tagged "Ben Bernanke", "Citigroup", "Deriviatives", "Fed Chairman", "Goldman Sachs", "Larry Summers", "Secretary of the Treasury" on August 1, 2013 by Shayn Roby. 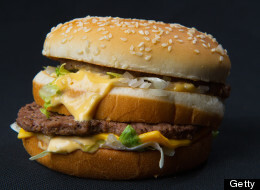 Shayn Roby’s Take: So much is being made about paying a living wage to fast food employees. The truth is, the reason these workers are in the fast food industry is because they are not qualified to do other jobs. It is not the responsibility of other Americans to compensate for the fact that the job skills of these people are not in high demand. They should have thought about the consequences of their actions back when they were in high school. This entry was posted in Breaking News, Liberal Zombies, Obama Zombies, Obamanomics and tagged "Fast food worker strike" on July 30, 2013 by Shayn Roby. Teamsters’ Union Letter to Harry Reid and Nancy Pelosi: “Obamacare Will Destroy 40-Hour Work Week”. Even the low-information voters more commonly known as Union Democrats are starting to catch on to the thievery of Obamacare that involves the greatest transfer of wealth in history, from those that work hard to those that DO NOT WORK, and DESIRE TO CONTINUE NOT TO DO SO. This entry was posted in Liberal Zombies, Obama Zombies, Obama's Welfare State, Obamacare, Obamanomics and tagged "Affordable Care Act", "James Hoffa", "Obamacare", "Organized Labor", "Terry O'Sullivan" on July 24, 2013 by Shayn Roby.